This property is 2 minutes walk from the beach. 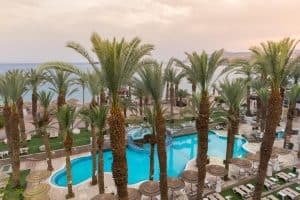 Leonardo Plaza Hotel Eilat offers an outdoor swimming pool with loungers, overlooking the Red Sea and a private beach. 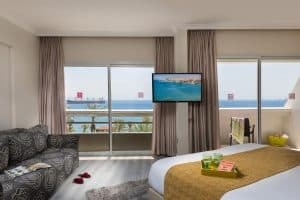 All rooms have a sea view.Rooms at the Plaza Hotel Eilat are air conditioned and most rooms have a balcony. Each features an indoor seating area and some also have a spa bath. Guests can relax and keep fit in the wellness centre which features a gym, sauna and hot tub. Other facilities include a games room, and massage treatments are available. 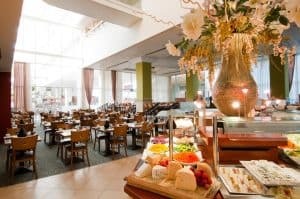 Hotel Eilat Plaza has many dining options including Chinese, Italian and an international menu. Guests can enjoy a drink from one of the bars, or a snack on the poolside terrace. Located 1.2 km from Eilat Airport, the Leonardo Plaza is just a 10-minute walk from Eilat city centre. Parking is free. 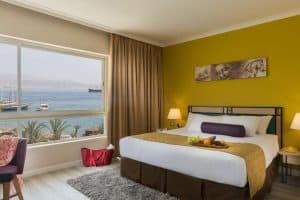 This is our guests’ favourite part of Eilat, according to independent reviews. This property also has one of the best-rated locations in Eilat! Guests are happier about it compared to other properties in the area. Solo travellers particularly like the location — they rated it 9.1 for a one-person stay.